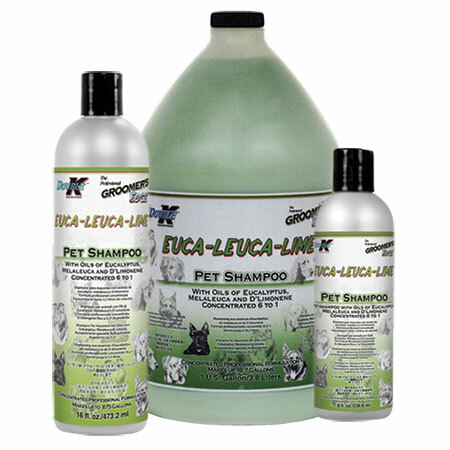 ORGANIC OPTIONS™ EUCA-LEUCA-LIME™ is the perfect natural shampoo to ease summer problems and to help heal skin. This special formulation contains Eucalyptus and D’Limonene for pesticide-free effectiveness, and Melaleuca Alternifolia (Tea Tree Oil) to soothe irritated, bitten skin. Super fresh citrus scent. For use on dogs, cats and all other companion animals.